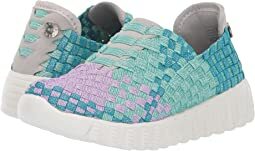 Bernie Mev kid's new technology is taking the shoe industry by storm with its expandable hand-woven upper that fits any kind of foot like a glove, memory foam footbed that feels like you’re walking on clouds, and innovative color combinations and patterns. Not only is comfort a key feature, but they are also offered in a wide array of shoe styles ranging from ballerina flats to sneakers. 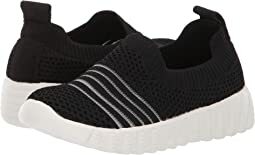 When you put a pair of these uniquely designed and extremely comfortable shoes on your little one you’ll understand why our shoes are hard to keep in stores. Cute shoe, but way too wide overall, especially at my 5yr old daughter's heel. Quality doesn't look superior, but we didn't wear it to test that theory. So, I have to preface this with... these went back.... I am an adult woman with small, wide feet. I tried these on a whim, and when they arrived I was very impressed. The package and everything about the shoes is much better quality than many kids shoes nowadays. The only thing is that they are not the shoe for me. My boxy, wide feet didn't work with this elegant and narrower toe box--but my feet are weird, so I think anyone with medium to narrow feet would love these shoes. I LOVE these shoes for little girls. My daughter attends a uniform only school and it was hard finding dressy and sporty and these did the trick. They are cute yet very comfortable. We will continue to buy these for her next school year. Her feet are not long and narrow so shoes are difficult to find and these fit perfectly. As a mother, I highly recommend these! Excellent! Really nice. The footbed works really nice for my daughter. In her ugg boots she walks on the inner side of her shoe. These totally correct her walk. These were cuter than I expected, and MUCH softer. The upper material was not stiff or scratchy at all. However, these were so incredibly wide on the sides that they gaped, and did not touch my daughter's feet at all. My 4 year old literally told me to return all the other shoes because she was only going to wear these. She hasn’t taken them off since the day they arrived. Rainbows work magic! Just bought these 4 days ago and one of the strings already completely ripped and now one shoe is loser than the other because the elastic bands hold the fabric snug on your foot. Fit well and my daughter is happy with them. My daughter loves these shoes! Easy to put on at school after recess, they stay on well for gym class. The elastic material conforms to her narrow foot well! I purchased the boots for my daughter, they fit her well with a little room for growth. They are comfortable on her feet and she loves the style. Good choice!!!!! Such an awesome shoe. Very comfortable and a different kind of style than what we normally would wear. Super cute and so comfortable! Soft and flexible with a firm base. After just a few wears the silver material is peeling off the top front of both shoes. 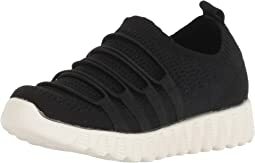 Such a comfortable kid shoe. I have this brand in my size and thought these would be perfect for my daughter. She loves them. These seem like bernie mev's down to the core and are a quality made shoe. My daughter is at a half size and sadly, needs a 11.5 size. I got a 12 and that is just way too large. There is no making it work as she just walked right out of them. These may run even a little big. I love Bernie Mev. shoes on my daughter and my daughter loves them. They’re comfortable and have fun colors! My 5 year has big feet and depending on the brand she’s between a 10.5 and an 11. I got her an 11/28 eu and they fit perfectly! I definitely recommend these shoes! Great quality & Very Light weight. My daughter loves these shoes! I bought them for the upcoming school year. They are comfortable and cute!?? 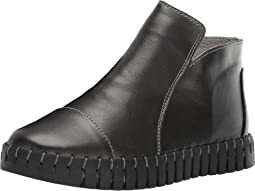 Hi love Bernie Mev for the comfort, I feel it is like a sneaker with a bit more style. I have small feet so I had to go down to a Kids size. If I were to order another pair, I might go one size longer. My daughter said “these feel like heaven” when she first put them on. We have had them about 2 months, she wears them at least 3 or more days a week and they still look and feel great. I’m ordering her another pair a size up today. Great shoes!